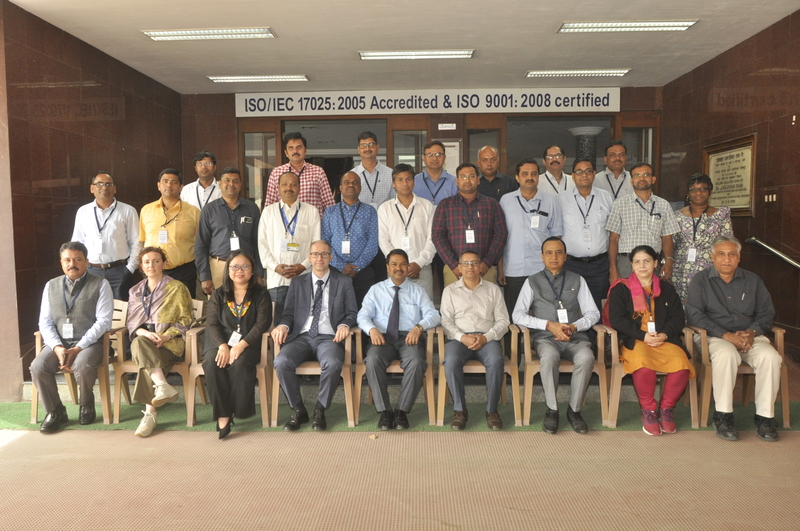 Food and Agriculture Organization (FAO) organized an Assessors Training for Principal Investigators of Indian Network for Fisheries and Animal Antimicrobial Resistance (INFAAR) on FAO Assessment Tool for Laboratories and Antimicrobial resistance surveillance System (FAO-ATLASS) at one of its Nodal Centre ICAR-CIFT, Cochin during 21-25 January, 2019. About 20 Project Investigators associated with the INFAAR project from different ICAR research institutes of fisheries and animal science all over India actively participated in the training programme. Five FAO experts who imparted training to the participants included Dr. Joy Gordoncillo, Dr. Michael Treilles, Dr. Francesca Latronico, Dr. Rajesh Bhatia, Former AMR Advisor and Dr. Rajesh Dubey, National Operational Officer, FAO, India. 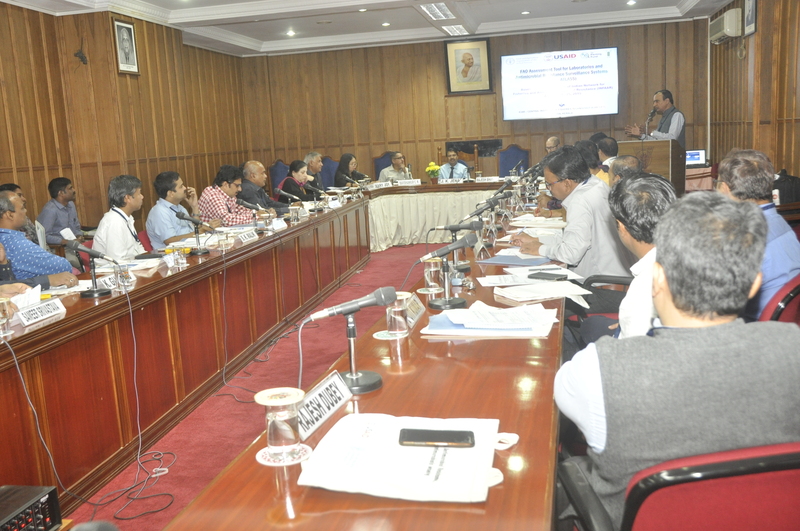 Inaugurating the programme on 21 January, 2019, the Chief Guest Dr. J.K. Jena, Deputy Director General (Fisheries and Animal Sciences), ICAR, New Delhi stressed the need for the surveillance of disease in fisheries and animal sectors as it is the key for AMR management. He told that in India, production of shrimp, the major export item is badly affected by diseases since last two decades. Early mortality syndrome in fisheries and FMD in animal sector have been the major menace. Intensification and diversification in farming sector and evolving climate change are primarily responsible for diseases emergence in these sectors. Over-use of antibiotics in aquaculture has aggravated the problem of AMR in fisheries. He emphasized the need for an objective surveillance of AMR through well equipped laboratory facilities and well trained professionals to counter the issues faced by AMR. He was optimistic that this type of training programme will cater to the need-based gap to address the AMR issue. 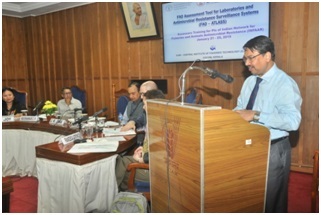 In the presidential address Dr. Ravishankar C.N., Director, ICAR-CIFT highlighted the need and importance of the surveillance and appraisal of Antimicrobial Resistance (AMR) in fisheries and animal sectors and its containment in perspective human health in general and fisheries and animal health in particular. He also dealt at length on the contribution of the institute for fisheries development in chronological perspective. At the outset, Dr. M.M. Prasad, Head of Microbiology Fermentation and Biotechnology Division welcomed the gathering and give a special mention about all FAO experts. Later, the FAO experts drew the attention of the gathering on the issues of AMR right from mythical nature to subject of priority issue and were optimistic of mutual benefits likely to be derived from the training programme. They versed that as on October, 2018 FAO-ATLASS has used to assess 17 national AMR surveillance system in the world-over and were optimistic on the increase in use of the tools worldwide for harmonization and improved coordination of AMR surveillance system in food science sector.